Webster’s definition of flag is “usually a rectangular piece of fabric of distinctive design that is used as a symbol (as of a nation)”….well that just does NOT do it justice. Speaks nothing to the emotions behind the flag; we see it being raised on special occasions and our hearts burst with pride, draping a coffin or flying at half mast our hearts heavy, or simply flying in the wind as a symbol of all that is good in our nation. 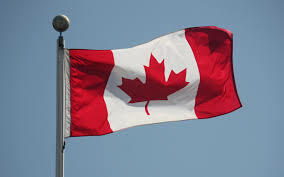 I was born in 1962; the red and white flag with the maple leaf is the only flag I’ve ever known. I knew that the Royal Union Flag, the “Union Jack” was associated to Canada, but I was unaware that Canada had a long history of flags, and the debate over a new flag was complicated, acrimonious and long standing.